Hi my name is Foxie Hagerty & I would like to welcome you to this Fulton County, IL Site! I very much am in need of your contributions of cemetery listings, tombstone photos and also on cemeteries which are soon to be lost and not to be found again. So, let's hear from you out there. This county site is up for adoption. Email me if you would like to adopt , transcribe cemetery listings, have tombstone photos to submit, anything feel free to click on my doggie to email me. Thanks for your kindness. Send your digital or scanned Fulton Co gravestone pictures to the county coordinator. Please limit the size of each picture to about 200kbs. Please send the cemetery in which it from, township. type info on the stone in the email you attach your photo to. Thanks so much for all of your help!!!. click on doggie above to email! contact the Fulton Co Genealogical Society for their publications. 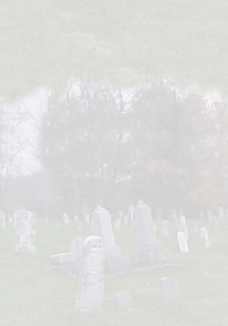 Some of their cemetery listings have much more info than just deaths & birth dates. Takes too much time to put all of it here. Please contact them. send a self addressed stamped envelope for their publication list. their resources would make could documentation of your family history. More cemetery listings on the way! Name Origin: Robert Fulton, the first successful builder of steamboats on American waters. email me your typed bios to be posted on new link in mak'g. email me your obits to be posted on new link in mak'g. Under the column when you click on the name it take you to a page with twp map on it which if printed & you visit our handsome Fulton Co., IL. you should be able to find the cemetery you are looking for. If not stop & ask as people are very generous & like to help. There will be other valuable info on these pages along with the maps so be sure to scroll down a bit on the page. Thanks for stopping by. Happy Gene Hunting! !I thank you & your ancestors who came before thank you too. Some new tombstone photos were put online for Wiley Cemetery, Deerfield Twp, Fulton co., IL over the week end. if you click on what should be the thumbnail of the photo it open in own window with the original photograph I took while visiting this cemetery. Made on my laptop and tried converting to here. Now to find out why it won't work. Sorry for the inconvenience of it all but all names are listed. this cemetery is done is two pages. dwnload over slow net connect. for second page in this series. takes 6min dwld slw net connect.